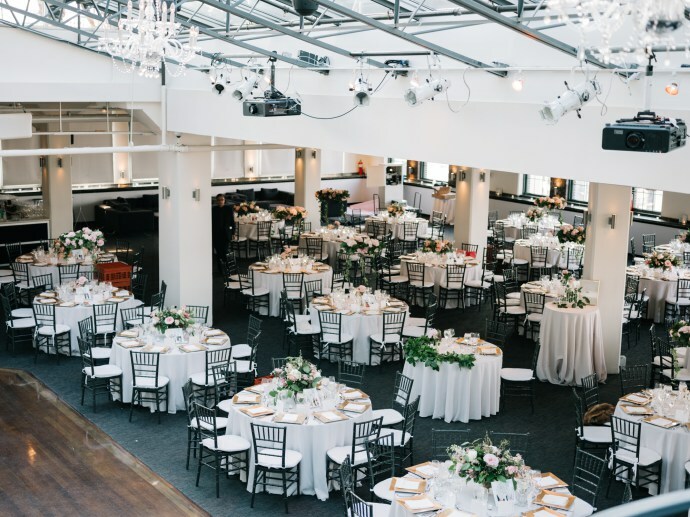 "Rebekkah and her team were such a huge asset to our wedding! Leading up to the day, she kept us organized and answered all of our questions and addressed our concerns. We thought we'd be able to handle it ourselves with our family, but planning a wedding with 200+ people and a dozen vendors is no joke. Rebekkah makes it look easy. We live in New York, so we did a lot of Skype/FaceTime sessions and the day of the wedding it felt like we were old friends even though we'd technically never "met"! The day of our wedding, Rebekkah was on top of almost everything - keeping everyone on schedule, coordinating with vendors, keeping me hydrated lol. She was there for me personally and went above and beyond in so many ways that I never imagined I would need, but did! Rebekkah is truly a sweetheart, a real gem of a person. I wouldn't hesitate to recommend her to anyone looking for a full on planner or even just a day of coordinator to help you keep it together! " When I first started talking to Jessica about the design I was like "OH EM GEEEE It's going to be so gorgeous!". 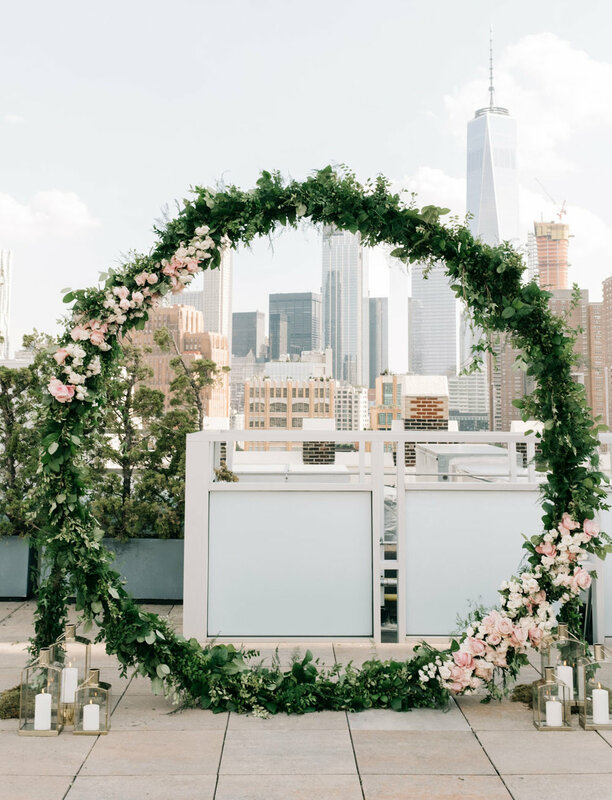 Anytime you mention hanging floral or archways on the New York skyline my heart flutters a little. ;) It was just as gorgeous as she envisioned and I couldn't help but insta story the crap out of it! I love love love New York. I love the chaos of the city, the gorgeous views and delicious food pretty much anywhere you go. I love how Jessica, Larry (and Jessica's super sweet mom Cheryl! ) encompassed their love of the city and a romantic garden party all in one. Also, to top it off- this wedding was featured in one of my favorite blogs Green Wedding Shoes! Oh yes, and if it couldn't get any better. Jessica changed to a jumpsuit. #obsessed. See more below! Featured in Green Wedding Shoes.